Healthy tiny pizza! And another way to use up the oceans of zucchini you are drowning in. 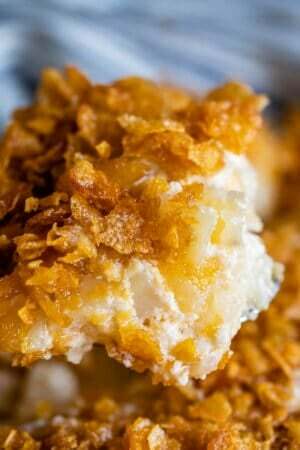 A simple 15 minute recipe that can be a snack, appetizer, or hey, even dinner if you’re like me. My mom regaled us with stories all growing up about how when SHE was a little girl, her mother made the same 7 meals each week with no variation. Roast beef on Sunday, Tuna-Noodle Loaf on Monday, Enchilada Loaf on Tuesday. (Yes, really, Enchilada Loaf is a thing, and it has Fritos, Velveeta, and cinnamon in it. I’m not lying. You can’t make this stuff up.) We served a giant vat of it at my Grandma’s 80th birthday party last summer for nostalgia’s sake. I know those two lists aren’t exactly the same, but there were a LOT of repeats throughout the notebook. That Salmon-Loaf just kept coming back again and again. I can’t be judgmental though; Grandma was a working mom and didn’t have the internet or the Food Network. I’d probably be making Salmon Loaf every week too. 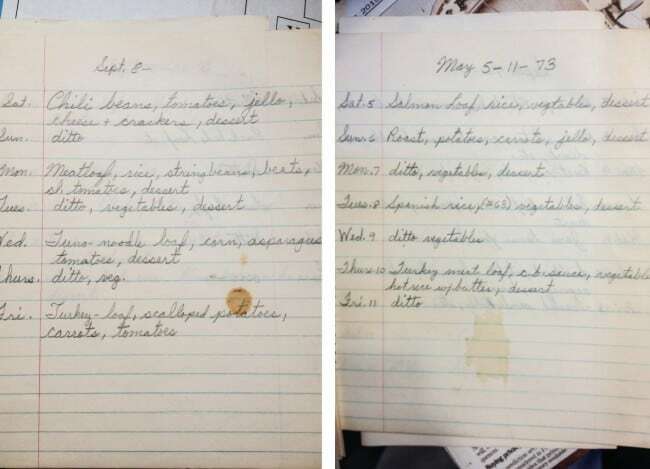 There were a ton of other loose recipes tucked into this notebook of my Grandma’s that I was flipping through, and one of them was an idea for Zucchini Pizza. These are so good! I ate my weight in zucchini and cheese. And easy to boot: just slice up a zucchini (you’ve got a million right now, right?? 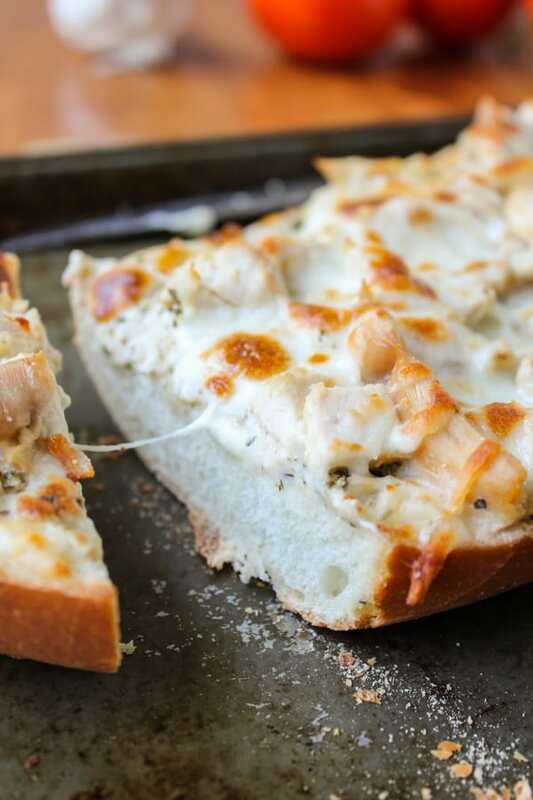 ), dollop on some pizza sauce, sprinkle with cheese/toppings, broil, and voila! 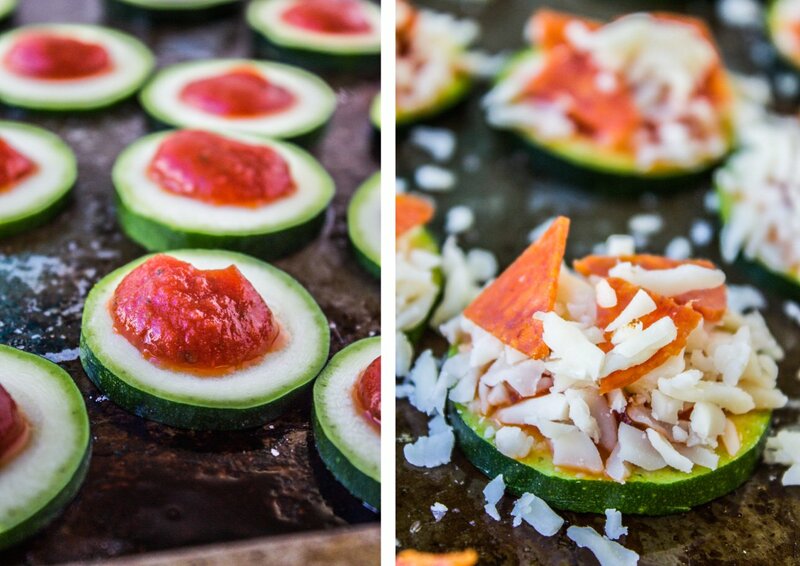 Perfect summer appetizer. Or after-school snack. 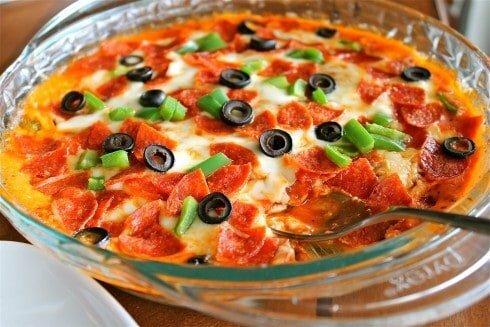 Or dinner, if you eat enough… It definitely beats Enchilada Loaf! Do you guys give up? Or are you thirsty for more? 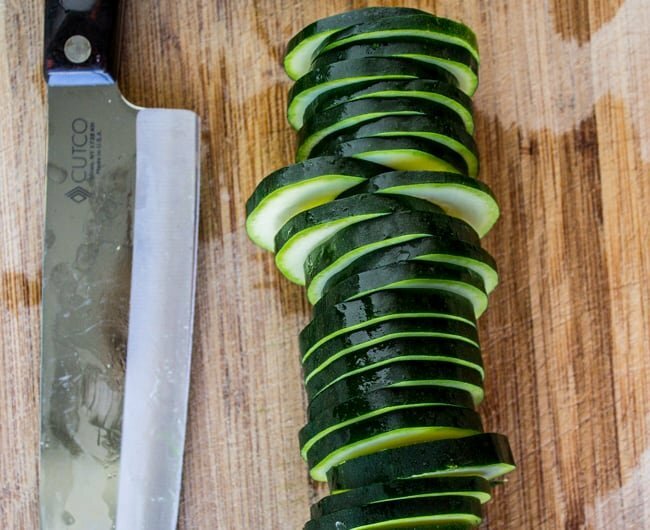 Use a sharp knife to cut the zucchini into rounds. You want them to be about 1/8 inch thick, and definitely no more than 1/4 inch (see photos). The thicker they are, the crisper the zucchini will be. Grease a baking sheet with olive oil. Spread out the zucchini on the sheet. 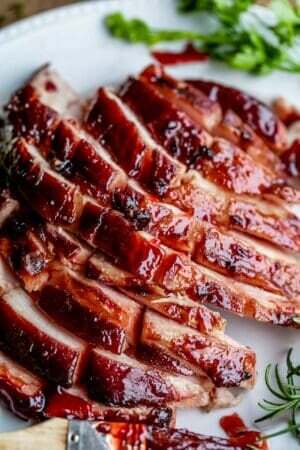 Top each round with 1/2 or 1 teaspoon pizza sauce. Don't spread it around or it will just bake off. 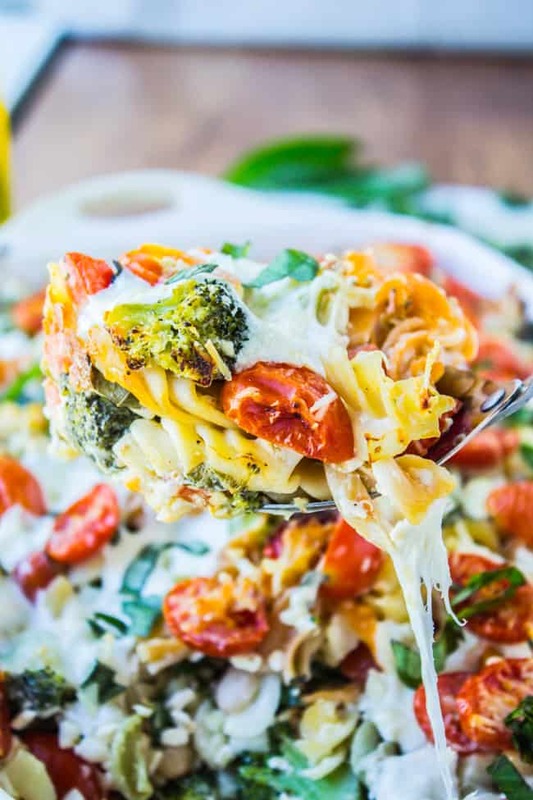 Top with shredded mozzarella. If you are using pre-shredded mozz, use a knife to chop it a little smaller. 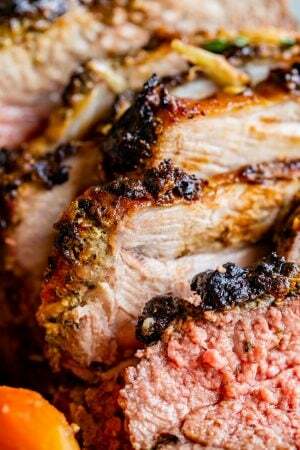 Move your oven rack to the highest position. Broil the zucchini for 3-6 minutes, or until golden on top. Don't walk away! Eat hot! 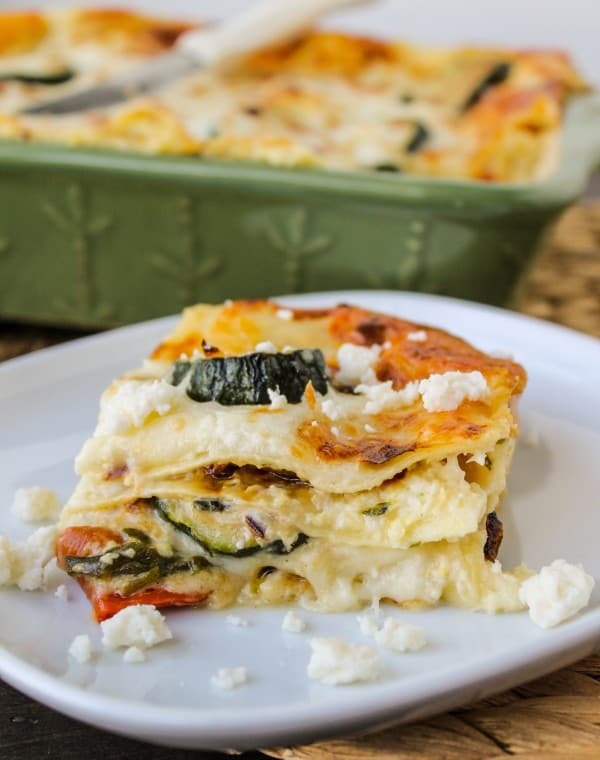 Other ways to use up all that zucchini in your garden! I’ve been eating Zucchini Pizza Bites for months now. 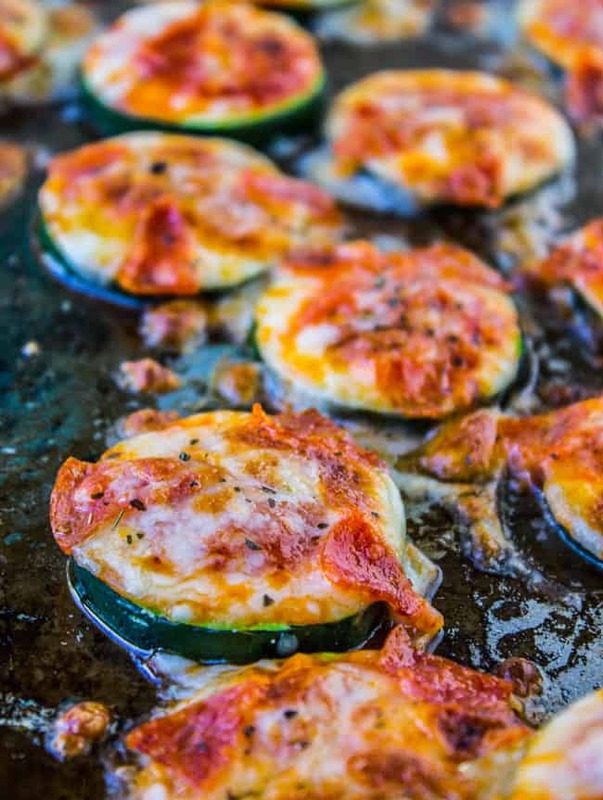 Often I just slice the zucchini, drop some pizza sauce then some cheese – then bake in the Toaster Oven. Works great if you just want a snack – or a meal. I’ve put meat on before – but just prefer the sauce & cheese only. I’ve also started putting the zucchini in a corning ware dish, putting more pizza sauce & cheese – then baking in the Toaster Oven. For one or two people any way works great. I love the idea of doing it in the toaster oven Bets! Thanks for commenting! Oh my gosh, I wish I had that kind of planning! Pinned these pizzas! I need more healthy but indulgent ideas! Your grandma was one organized lady! How sweet that you have her kitchen notes… what a gift. I’m all about the zucchini right now.. it’s comin in droves and I’m the only one in the house who likes it! YIKES! It’s zucchini for breakfast lunch and dinner, so I need all the inspiration I can get! Thank you for this Karen! Oh my gosh that loaf! I don’t think I’ve ever had Velveeta and cinnamon together! My mom had a rotation too – there were not many dishes that ever changed! 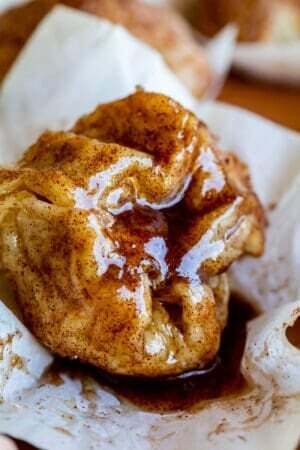 Love these bites! Perfect for zucchini season. 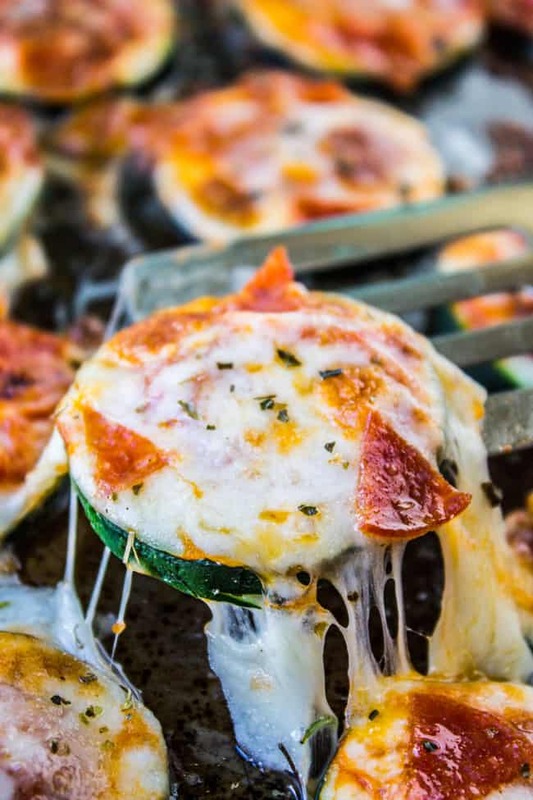 These are totally genius Karen and the perfect way to use up that fresh zucchini from the garden! LOVE! I was so pleasantly surprised to find that real, fresh salmon is a delightful thing to eat! And enchilada loaf – my family’s Mexican food. Hey, it had chili powder, ok? My grandma made a salmon loaf too. I wonder if they got if from the same place! I love enchilada loaf! Although I’ll admit, anything with the world loaf in it is usually off putting and most of grandma’s recipes end in a loaf! Haha the cinnamon is one of Paul’s favorite parts. In any other form I hate velveeta too but for some odd reason it works in that, at least for me. I love the pictures of her weekly menus, so fun that she still has them! I could probably eat a bajillion of these. 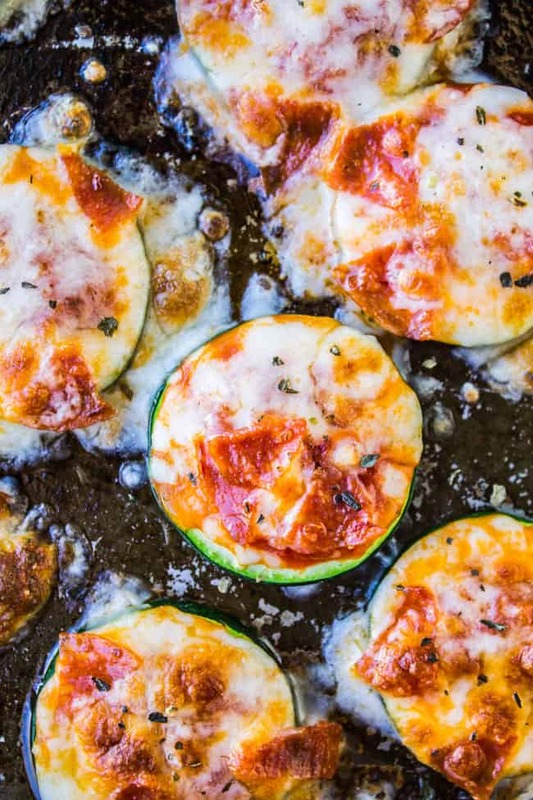 Love zucchini and pizza. So why not combine the two! This much cheesy pizza goodness should seriously be illegal. I mean, this is health food taken to a whooooole ‘nother level. I want all of these in my face PRONTO! Thanks Sarah! I’m so glad cheese isn’t illegal though. haha, can you imagine? It would be Prohibition all over again. I would be battling the authorities for the rest of my life.